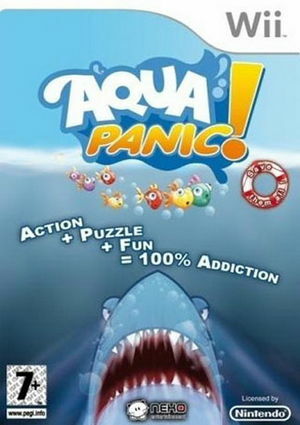 In Aqua Panic! a giant cyclone has sucked up thousands of fish from the oceans! It’s an ecological disaster! Tanks of water are immediately assembled throughout the world, so that all the fish can be returned to the oceans. As the sea creatures start falling back to Earth, someone must make sure they land safely and quickly since they cannot survive for long out of water! The graph below charts the compatibility with Aqua Panic! since Dolphin's 2.0 release, listing revisions only where a compatibility change occurred. This page was last edited on 10 July 2018, at 17:51.